Fallout: Wasteland Warfare Interview in Tabletop Gaming Magazine. 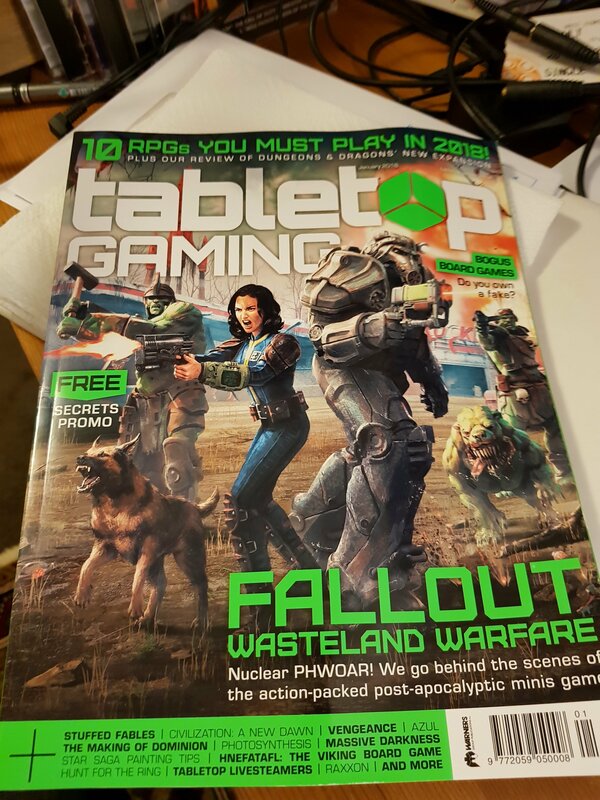 The highly anticipated miniature game Fallout Wasteland Warfare from our good friends at Modiphius Entertainment graces the cover of Tabletop Gaming Magazine this month with a great insight chat with good pal Chris Birch the CEO of Modiphius Entertainment. Previous PostSeasons Greetings from Gamers WebNext PostIts almost time to take flight to Barsoom.